He sees when you're drinking he knows when you're shitfaced! Get this funny ugly sweater to wear to your holiday parties! Santa's watching and you're on the naughty list this year. 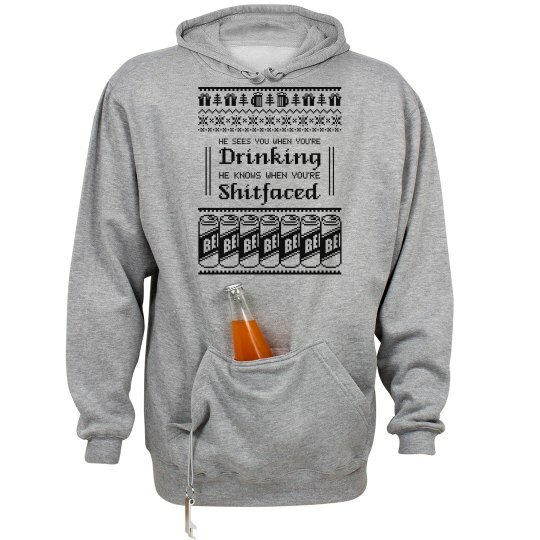 This hoodie makes for a great gift for anyone who likes to party!